Ever want to know how many calories you just burned doing some activity like gardening, jogging or washing the dog? You can use the calculator above to find out. To start, enter in your details and then in the 'Choose An Activity' box you can start to type in any activity and it will automatically search activities while you type. Once you have chosen an activity, enter the time you spent at the activity. The amount of calories you burned from the activity will be calculated for you. 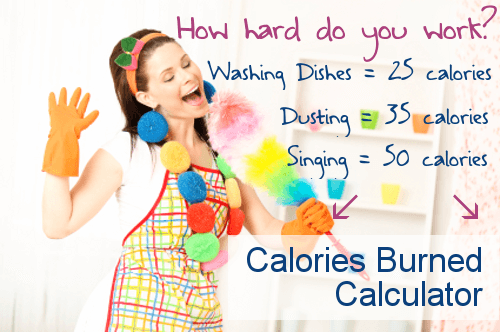 You can enter multiple activities to see what the total amount of calories you have burned along with the equivalent MET value all of your activities calculate to.